Climacool crew neck top with mesh back panel for ventilation. Formotion technology for enhanced fit and performance. Applied 3-stripes down arms. 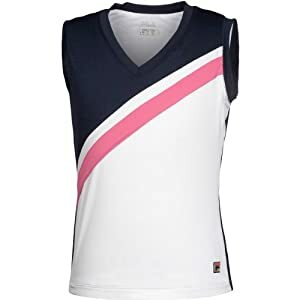 The womens sleeveless shirt from Sport Science feels like cotton but performs much better because it is made of a micro polyester performance yarn. 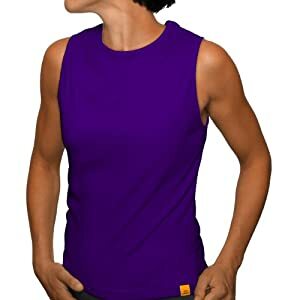 The sleeveless shirts Dri-Release fabric is wicking, odor-resistant, itch-free, soft, machine washable, and wrinkle resistant. 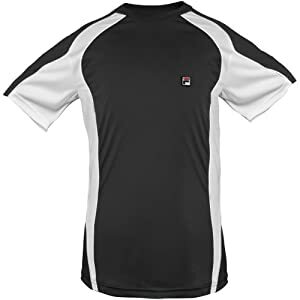 In addition, it is designed to prevent chafing and abrasion so it is perfect for activities such as running, tennis, volleyball, basketball, rowing, and cycling. 30+ UPF protects your skin from the sun’s harmful rays and inhibits premature aging. Anti-Odor Technology prevents the growth of odor causing microbes. Armour ®Stretch improves mobility and accelerates dry time with lightweight fabrics built in a 4-way stretch. Fabric Tech: 7.3 oz 90% Polyester / 10% Elastane. Imported. 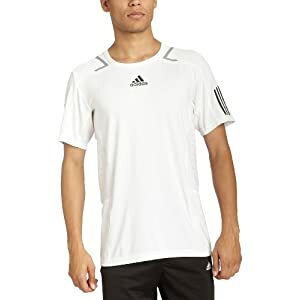 Adidas mens Barricade crew features seamless engineered fabric for superior comfort, 3-Stripes down both arms, and is made with ClimaCool heat-reactive fabric to keep you cool and dry in the heat. 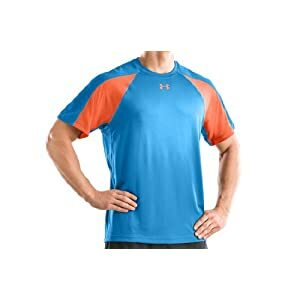 3D ForMotion-engineered pattern gives this shirt enhanced fit and performance. 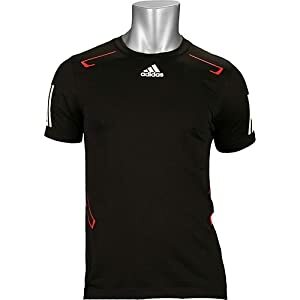 Adidas brandmark at the center front neck.95% polyamide/5% spandex. 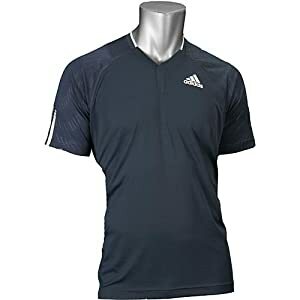 Adidas mens Edge theme polo features ClimaCool heat-reactive fabric to keep you cool and dry in the heat, 3-Stripes at both sleeves, and an Adidas brandmark at the left chest. Embroidered heritage patch logo. Contrast back neck taping. Inserted yarn dyed stripes in black. Side vents and drop tail. Mesh inserts at armhole. Poly Interlock 100% polyester Square Mesh 100% polyester. 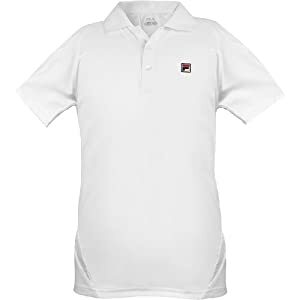 The FILA ® girls’ v-neck top delivers the performance your little tennis superstar needs to develop her game. 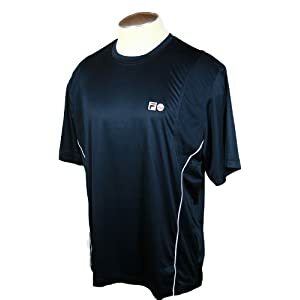 It’s crafted using a moisture-wicking fabric that draws sweat away from the skin to keep any athlete cool and dry. The UV-protective technology prevents the sun’s harmful rays from reaching the skin.